This candy-colored number is for my son's beyond awesome art teacher! She's been his art teacher for the last 6 years and she was one of the first folks (aside from proud family members) to recognize my son's natural talent. Each year she goes out of her way to mentor him and give him opportunities to foster his craft. To thank her for all her efforts and care, I put together this card. It's sweet, modern, and happy, just like her! 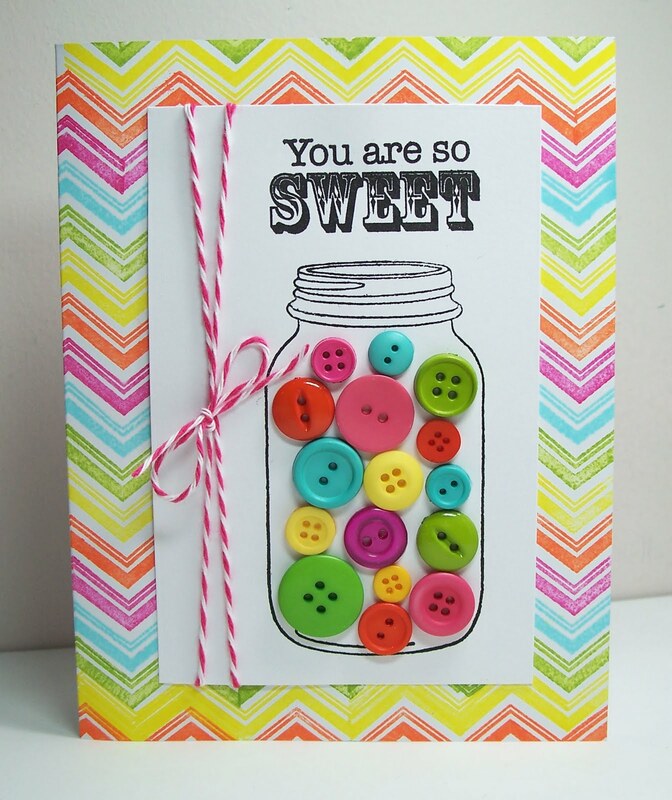 This idea for this card was inspired by the Moxie Fab Chevron Chic Challenge. I knew I wanted to do something colorful (after all it's for an art teacher). So I'm thinking colorful chevrons...hmmm...fruit stripe gum! (Remember the zebra?) And my new canning jar stamp was the perfect "container" for button gumballs. Love it! CUTE! 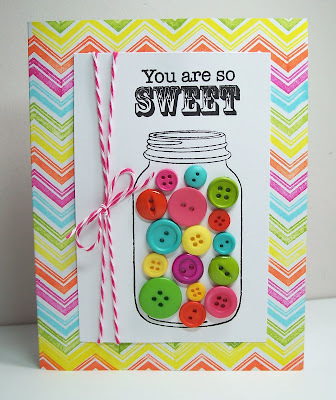 I love those bright stripes and the colorful button jar. I so remember that zebra!